The fifth in a family of seven kids, I grew up during the Cold War of the 60’s and 70’s. Born in Edmonton, Alberta, I was always stumped for a quick answer when new acquaintances asked me where I was from. I was a military brat; I had lived everywhere and was from nowhere. When I was old enough, I joined the Navy Reserves and served nearly 20 years as a Class B and C reservist. It made sense for me, because all I had ever known was the military life. My parents were born in Ontario, during the Depression, and grew up poor. They met in elementary school and spent their lives together as childhood sweethearts. My father, LCol. Robert Leo North, studied engineering at the University of Toronto, and shortly afterwards, he married my mother and pursued a lifelong dream of service to Canada through the RCAF. My mother, Grace Elnora North, was raised by her maternal grandmother, and after high school graduation devoted her life to my father and their young and growing family. Not long after their wedding, Dad earned his RCAF commission and began his long, distinguished career with 426 Squadron, flying logistics missions during the Korean War. As Dad served his country, in her own way, so too did my mother, dedicating her life to keeping the household humming, caring for us kids and supporting Dad in his career. Our family never lived anywhere longer than two years, sometimes even less than that, being posted to Europe, Canada and Washington DC. Throughout my early adulthood, Halifax, Nova Scotia, was my home, where I combined full and part time reserve duties with university and trades education, and in my civilian life, I was a successful chef and caterer. In Halifax, I met my husband Rob, a Regular Force Army Officer. Rob and I began our married life in Lahr, Germany, and when we returned to Kingston, Ontario, two years later, our only child, Gary, was born. I stayed at home to raise Gary full time, and when he was 7, we moved to Barrie, where we finally settled permanently. By then Rob had departed the military, and we struggled financially as Rob worked to forge a civilian career. In the beginning, Rob would establish himself in a job, and then get downsized or laid off, being forced to start over. Undaunted, Rob persisted and continued to work in increasingly more responsible jobs, finally achieving a career as a senior strategic consultant in Electronic Discovery and Information Management. A lifelong learner, I earned my diploma as a Registered Nutritional Consulting Practitioner, and I am passionate about helping people achieve sustainable lifestyles that are safe and healthy for both themselves and our planet. I believe in greater health through the healing nature of food as medicine, coupled with reducing harmful environmental pollution and chemical exposure. Furthermore, I recently achieved certification as an Al Gore Climate Reality Leader, and I’ve obtained certificates from the University Guelph in Sustainable Urban Agriculture and Sustainable Urban Horticulture, in Civic Ecology, from Cornell edX, and in The Challenges of Global Poverty, from MIT edX. Raising Gary sharply focused my awareness of the world he would be inheriting. I became concerned about the increasingly ineffective and corrosive policies practiced by the political status quo. 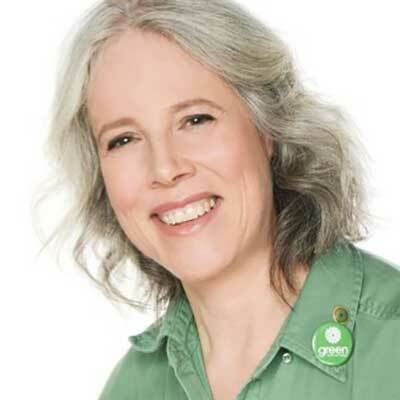 I realized that the best way to channel my energies to shape a better world for my family, community, and for the environment, was for me get to work with the Green Party, and I served as the provincial GPO candidate in 2014, and the federal GPC candidate in 2015. The struggles of my life and my parent’s lives motivates me to advocate for civil rights and social justice, poverty alleviation, health promotion, disaster and humanitarian relief, and for environmental conservation and animal welfare. I currently serve as the CEO for the Barrie-Innisfil Greens, as a board member for Barrie Pride and as a volunteer organizer for the Barrie March Against Monsanto.